Apple has been progressively bringing Bluetooth 4.0 connectivity to its mobile devices and personal computers. The mid-2011 MacBook Air (full review here) and Mac mini were the first to get Bluetooth 4.0 and were followed suit by the iPhone 4S, which was the first smartphone ever to get Bluetooth 4.0 connectivity. The 3rd generation iPad (a.k.a. 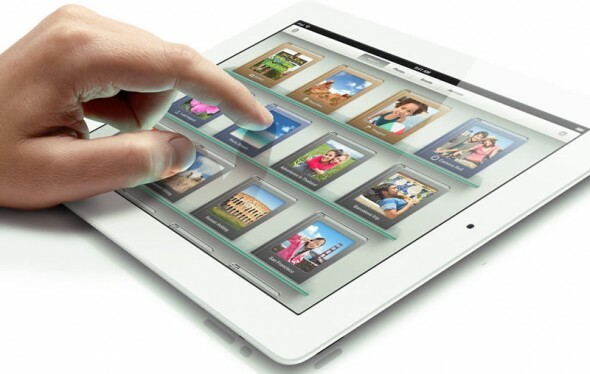 iPad 3) has been announced and we’re sure you are itching to find out if it’s a worthy upgrade from an earlier device. Also given that the iPad 2 has just received a $100 price drop, you might want to consider it as a budget, but still very capable option. In the table below we will be comparing the new iPad to the iPad 2. The key new feature in the 3rd generation iPad is the inclusion of a higher resolution display, a faster graphics unit necessary to push the extra 2.4 million pixels in the new display and a new 5MP iSight rear camera. You also get a few other nice features like Bluetooth 4.0 and 4G LTE connectivity options. Performance-wise the new iPad should be equivalent to the iPad 2. Veteran computer gamers will remember the popular city-building simulation series created by Maxis with a dose of nostalgia. The original SimCity game was released in 1989 and since then countless hours and billions of brain cells have been spent on creating the best virtual habitat for your sims. This is because, and let’s face it, there is a lot of pleasure in watching a city grow from a bunch of houses and factories to a bustling metropolis lined with skyscrapers. It’s hard to believe that it’s been almost ten years since SimCity 4 came out, but aspiring city majors now have something to look forward to. 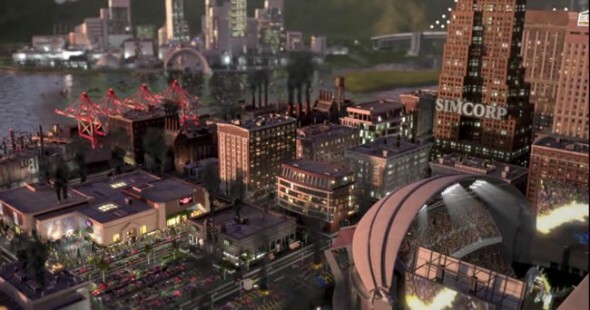 SimCity is back, with Maxis heading the development and promising to release the new title in 2013. Of course, the new simulation will bring a new game engine and new 3D graphics with, wait for it, curvy roads. So the well published Apple event is under way and the company has finally come clean with its updated tablet. The third-generation iPad is called just that, iPad — Apple chose not to name it iPad 3 or iPad HD as was previously rumored. The new iPad comes with a very high resolution 2048 x 1536 display, with four times the number of pixels found in the iPad 2. Apple is calling its 264 pixels-per-inch density display, retina worthy. To drive such a high resolution one needs a powerful graphics unit and the third-generation iPad comes with a new A5X chipset featuring quad-core graphics that’s two times as potent as the one found in the iPad 2. Apple is also claiming that the A5X graphics unit is four times as fast as the quad-core Tegra 3, a pretty bold statement. As expected Apple has announced the next generation of its set-top box- The new Apple TV will be selling for $99, the same price as the previous model. They key feature of the new device, which look identical to the previous model, is its ability to output in 1080p high definition. 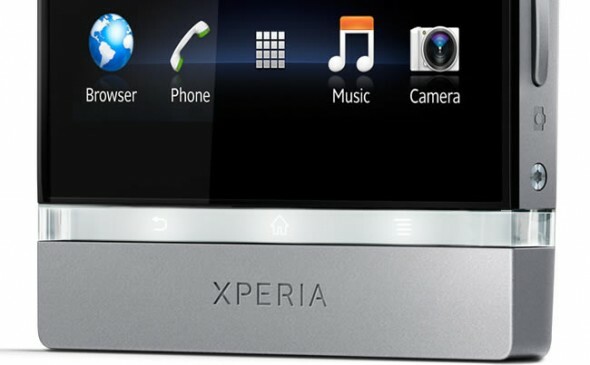 The previous model was limited to 720p only. 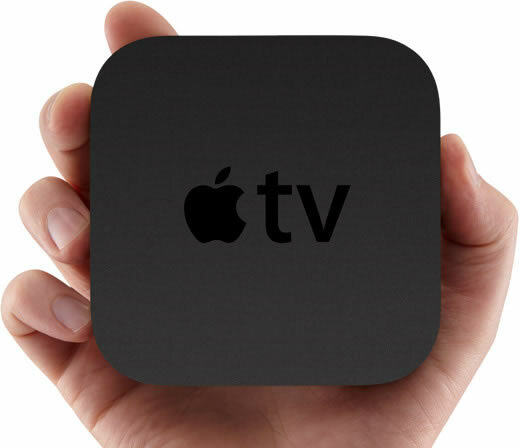 The new Apple TV will also have a redesigned high definition user interface and can stream movie purchases directly from iCloud. Stuff-Review was the first to consider that the iPad HD (a.k.a. iPad 3) could have some form of advanced haptic feedback. 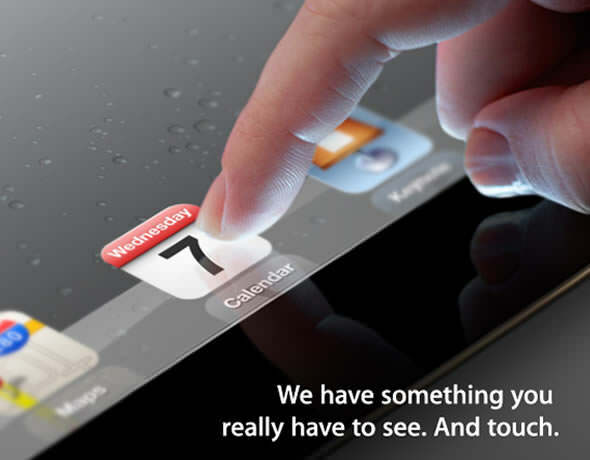 Our speculation was based on the iPad event invite, which calls for something new to see and touch. Apple is no stranger to this technology since it has been doing its own research, and it would just really make sense to have tactile feedback technology in the iPad. 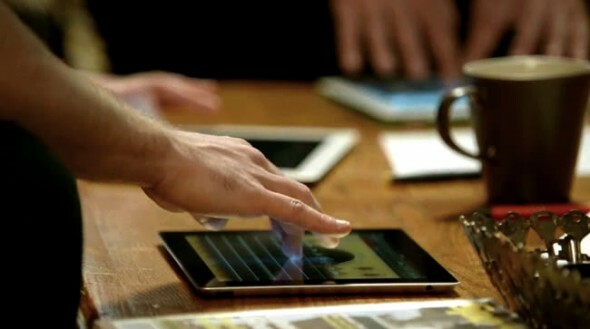 Advanced haptics would enrich the iPad experience by bringing the sense of touch to the mix. It would make typing on the iPad akin to typing on a physical keyboard, provide tactile feedback on user interface interactions and it would bring gaming to a whole different level. Then you never know what else might come up from enterpreneuring app developers. 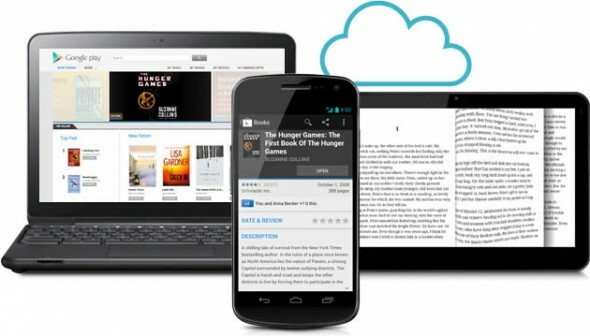 Google just made a big play of its content and cloud efforts, pun intended. The search giant is bringing all its mobile content offerings into one umbrella, titled Google Play, this includes music, books, videos and of course Android apps. Starting today the Android Market, Google Music and Google Books all become Google Play and are accessible through play.google.com on any browser. For now this is just a name change as the individual services will continue to look as before. 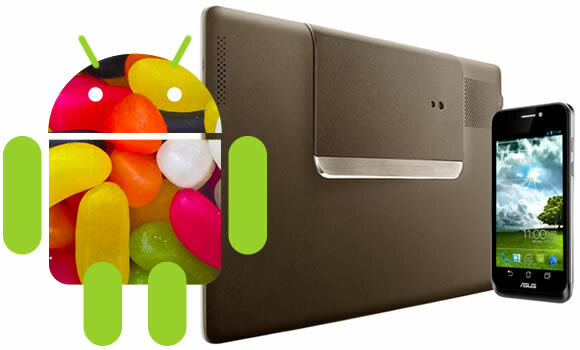 Over the next few days Google will also be updating the standard Android apps on phones and tablets running Android 2.2+. The Android Market app will become Google Play Store, and respectively you’ll get Google Play Music, Google Play Movies and Google Play Books apps, depending on availability of the services where you live. Adobe has just released the fourth version of Lightroom today, which brings a number of improvements but also a big price cut. Lightroom 4 can be bought for $149 new or $79 as an upgrade. That’s a far cry from the $299 (and $99 upgrade) demanded for previous versions. We’re sure that recent price cuts to Apple’s competing Aperture software played a large part in Adobe’s decision to lower the entry price to its own photo management and editing software. We’ve been trying out Lightroom 4 since it was released as a beta in January and not much has changed in terms of features since then. The biggest change in Lightroom 4 is the new highlight and shadow recovery technology (replacing the previous fill light and recovery controls) that allows users to bring out even more detail from dark shadows and bright highlights. The premise behind Sony’s WhiteMagic LCD display technology is simple, add a white subpixel to the standard red, green and blue subpixel arrangement and improve both brightness and power efficiency, win-win. We first covered WhiteMagic RGBW displays while we were looking at the LCD inside the new Fujifilm X-Pro1 digital camera, and Sony has now integrated the technology in its own 4-inch Xperia P Android smartphone. One of the most exciting devices presented at this year’s MWC in Barcelona was the Nokia 808 PureView. 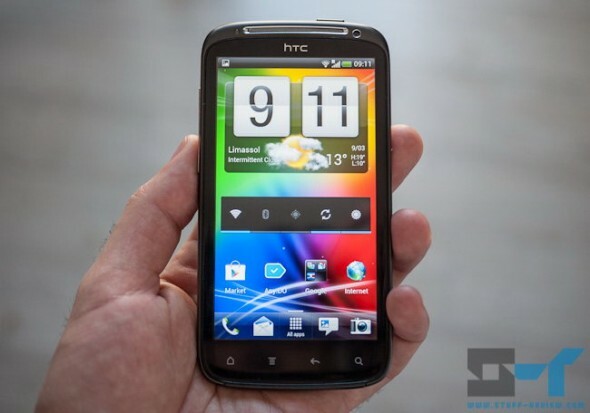 The Symbian Belle smartphone turned heads with it’s 41-megapixel camera. As we’ve explained in our initial coverage the PureView technology entails both a larger sensor (1/1.2-inch against the typical 1/3.2-inch found in most phones), Carl Zeiss optics and, most importantly, the ability to oversample pixels by combining seven pixels into one, resulting in a sharper and cleaner image. 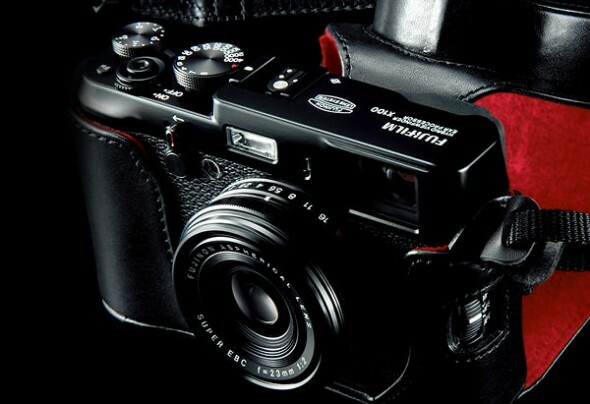 I have to foreword this review of the Fujifilm FinePix X100 by saying that I am not a professional photographer or a camera expert, nevertheless I think there is value on a review done from the viewpoint of the average user. Thus, this review will be very different from other technically focused reviews; instead I will tackle the camera from a real world perspective. I’ve tried to balance the review with a healthy number of sample shots. To depict the camera’s image quality, rather than my Lighroom skills, the images in this review have not received any software treatment, except from the odd straightening/cropping. The shots are mostly out of the camera JPEGs. Rather than photographicw merit, I’ve tried to include shots that demonstrate the camera’s capabilities. 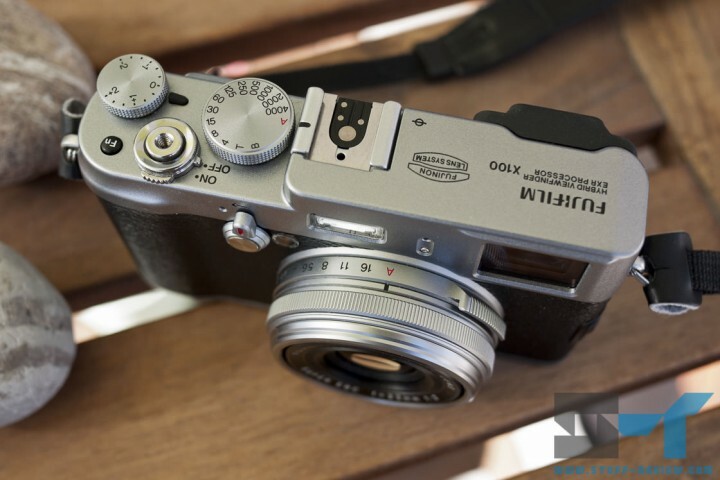 It’s also good to note that this review of the Fujifilm X100 comes late to the party; the camera has been out for almost a year now, though initially it was impossible to get hold of one. I’ve had my own unit since late last summer. I do consider however that despite more recent mirrorless camera launches, and even Fuji’s own X-Pro1, the X100 still is a very unique camera with a very unique offering.